This study aimed to analyze the association between the importance of several reasons to follow a vegan diet and the degree of orthorexic eating behavior in a sample of vegan individuals (N = 65, 53.8% women, age: M = 28.22 (SD = 9.13) years, BMI: M = 22.91 (SD = 3.44) kg/m2). 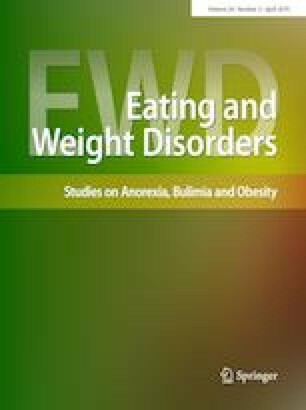 The results reveal that orthorexic eating behavior is associated with the importance of the underlying motives health, esthetics and healing, whereas animal welfare, politics and ecology are not linked to orthorexia. Hence, this study reveals that a vegan lifestyle is not per se associated with orthorexic eating behavior, but rather that it varies with the underlying motivation for following a vegan diet. This article is part of Topical collection on Orthorexia Nervosa. The authors sincerely thank Timo Falkenberg for his valuable assistance with language revision. The study has not been funded. All procedures performed in studies involving human participants were in accordance with the ethical standards of the institutional and/or national research committee and with the 1964 Helsinki declaration and its later amendments or comparable ethical standards. In Germany, in the case of studies only involving questionnaires on general topics, a formal approval from a research ethics committee is not required. All individual participants included in the study were informed about protection of their data and voluntariness of the participation and gave their consent.